The follow-up to 2012's chart-topping, Grammy-nominated Blunderbuss takes its name from the quarantine stations built for maritime travelers in during the 18th century — of course — and will also be released in a limited-edition, one-time-only vinyl version, complete with hard-bound book, postcards, accompanying 7-inch and a poster "featuring a classic National Archives photo." The first single off Lazaretto is the title track, set to premiere later this month ... though as he announced his new album, White also gave fans a taste of what's to come, in the form of a live-wire instrumental track called "High Ball Stepper," which will definitely shake the cobwebs out. So far, White has only announced a handful of festival dates in support ofLazaretto, including Bonnaroo, Governor's Ball and Osheaga. When he hit the road behind Blunderbuss, he famously did so with two backing bands: the all-female Peacocks and the all-male Buzzards. 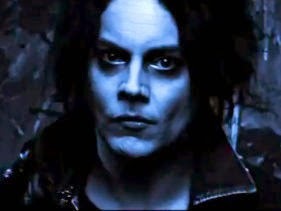 In addition to his new solo album, White's also (always) keeping busy with a handful of other projects, including a a third album from his group the Dead Weather (they released a pair of new songs late last year) and working with Neil Young on his forthcoming album, A Letter Home, which will be released on his own Third Man Records.